Do you waste some of your precious time every day re-washing dishes after they’ve already gone through a dishwasher cycle? Do you re-wash clothes because your washer’s first cycle didn’t quite get them clean enough? Do you find that you sometimes have to throw out a cake because it doesn’t bake evenly in your oven? All of this wasted time and energy is just awful! 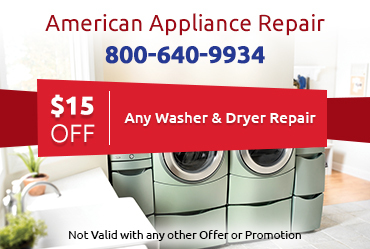 You don’t have to just put up with home appliances that don’t work perfectly – instead, call American Appliance Repair at 800-640-9934 for expert repair services. Many people think that they shouldn’t call a home appliance repair company unless their appliance isn’t working at all, but that’s not the case at all! If you’re experiencing any kind of problem with the optimal functionality of any of your home appliances, you should get help right away. We offer same day repair services for many parts of Southern California – simply give us a call at 800-640-9934 to request an appointment now. Our technicians frequently receive updated training so they’re always up-to-date on all the home appliance makes and models, including any new technological innovations. 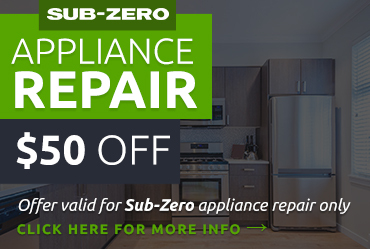 So if your appliance is a few months old or a few decades old, it’ll be in good hands with our technicians. 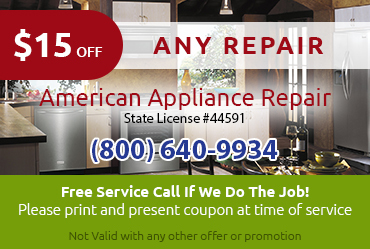 More than likely, one or more parts of your appliance needs to be replaced for it to work properly. If that’s the case, there’s no need to worry – most repairs can still be completed the same day you call. That’s because our technicians drive well-stocked trucks that have plenty of the most often-needed replacement parts. As soon as our technician realizes that a part needs to be replaced in your appliance, they’ll be able to simply walk out to their truck, pick it up, install it, and you’ll be good to go. 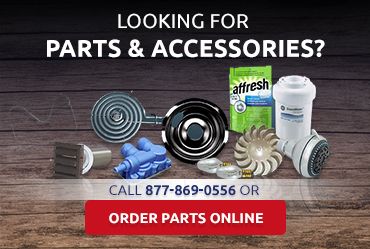 We’re not like other home appliance companies that need to order replacement parts, which causes an unnecessary delay of your repair – we provide high quality, manufacturer-recommended parts right away. It’s the ultimate convenience! We know you have plenty of choices when the time comes to choose a home appliance repair company, but we’re confident you’ll be thrilled with our services every time you call us at 800-640-9934. We’ve been Southern California’s #1 home appliance repair company since 1980, and we take great pride in making sure all your home appliances work perfectly every single day. Don’t wait for your appliance to stop working all together – if you notice any kind of a problem with it, give us a call at 800-640-9934 today.